Development Services Archives - Tait & Associates, Inc. 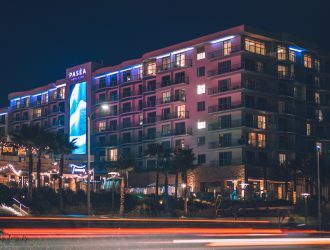 The up and coming luxury hotel called Pasea Hotel & Spa is set to be a dominant attraction for tourists to Huntington Beach’s ocean view by the pier. Prepared by TAIT’s expert civil engineering design services, it will offer eight stories totaling in 250 rooms, all with views of the shore break, community event lawn, ballroom and meeting room space, a spa, outdoor pool, and restaurants, including one on the roof. 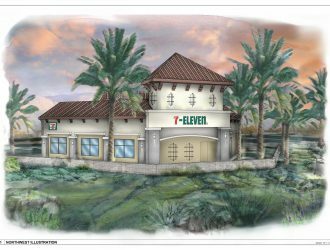 The site will also provide a two-story subterranean parking structure to accommodate guests. Sunset Media Center is a 22-story high-rise near the intersection of Sunset Boulevard and Vine Street. TAIT is the civil engineer for this major site improvement project which is a collaborative effort to renovate the site’s lobby, common areas, and tenant office spaces, including energy efficiency upgrades. 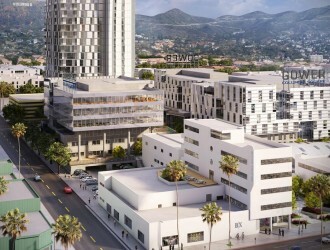 The largest office building in Hollywood, this center’s prime location and innovative improvements will make it a long-term valuable, prominent property. 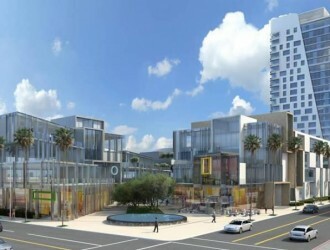 TAIT provided all site, civil, and survey engineering for the Columbia Square complex in the heart of Hollywood. The development features a sleek new 20-story apartment tower. Taking over a historic site that used to be the radio and television studio home for CBS, the LEED Certified mixed use campus has 200 luxury residential units, as well as retail, creative office, studio, and commercial office space.